After dominating the Group Stages, Astralis blitzed their way to a nail-biting final against Natus Vincere. 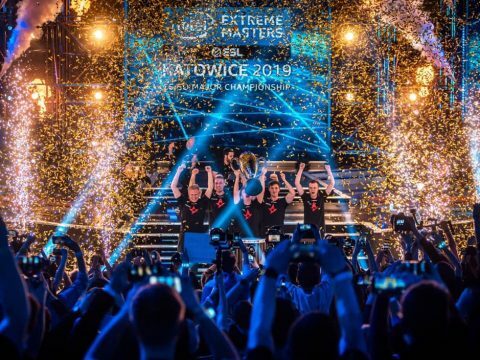 The latest DreamHack Masters took place this weekend in Marseille, France with 16 teams from around the world readying their knives and checking their DPI as the greatest CS:GO tournament was about to begin. Of the teams performing over the weekend (April 18 to 22), Astralis was looking to make waves and knock some other teams down a notch, and they delivered. It was an epic performance by the Danish team, as they dominated not only the Group Stages, but the Playoffs. The weekend opened up with Astralis facing off against Space Soldiers, a team that made it into the tournament via the European Qualifier. Astralis, a team that was invited to DreamHack, showed SS exactly what it means to be a team worthy of an official invitation. Kicking off on Inferno, Astralis did not let up the pressure as they as obliterated all efforts by their competition. Astralis walked away with a 16-2 victory and went on to face Team Liquid, another one of the official invite teams – but that didn’t account for much. Being the Winner’s Match, the fight would take place over three maps, with the first being Mirage. Unfortunately for Astralis, they lost the first map right out the gate (though it was a real nail-biter). For most teams, this would mean a drop in morale, but not for Astralis as they proceeded to win both Overpass and Cache with a respectable 16-3. This placed our boys in the Quarterfinals with their eyes set on the big win. First up to the chopping block was FaZe Clan. The format was best-of-three, but Astralis didn’t need that and decided to only use two of the maps to demolish the competition. Firstly, Mirage saw them take the lead 16-11, a close game but not enough for FaZe. The second map, Nuke, was where it all came to pieces for FaZe as Astralis cleaned up 16-6. 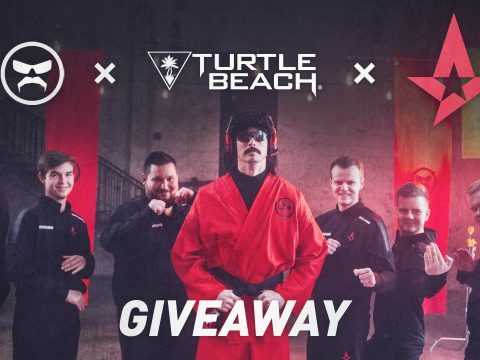 Now that Astralis were one opponent away from the Finals, it was time to really push their skills to the limits. Fnatic was looking for a fight, but they didn’t bring it during the first map, Overpass. Astralis took that with a relatively uncontested 16-5 and moved on to the second map, Mirage. With a win and a loss on Mirage, it could have gone either way for Astralis, but they showed everyone why they’re the best. It was a tight, with Fnatic putting up a fight, but Astralis could basically taste the Finals and they weren’t backing down. With a 16-12, Astralis were on to the final leg of the competition to face Natus Vincere. Natus Vincere had an incredible run through Group stages as well as the Quaterfinals, and Semifinals, so it was inevitable that the last match was going to be incredible. Nuke was the first map selected, and although Natus Vincere had momentum, Astralis shut them down 16-4. Inferno was the second of three maps, and it was a real slog for Astralis, only taking the lead at the end of the ninth round, bringing the rounds to 5-4. It was a brutal back-and-forth to witness, as both teams looked for a weakness in the other’s defences. Then in the 24th round, when Astralis had 13 rounds under their belt to Natus’ 10, Magisk made an extraordinary play. 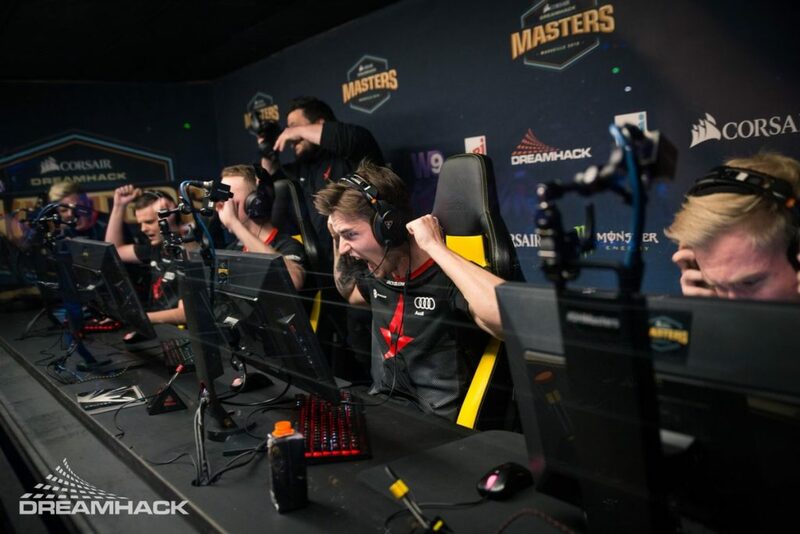 It was down to three-a-piece, and with some expert positioning and gunplay, managed to make that three Astralis players alive to Natus’ zero. The triple kill was a display of skill you won’t get from another team. With one round away from victory, it was gla1ve by himself against two of Natus’. Going two-versus-one, when the bomb is already planted and the enemies have a strong position, is never a good position to be in. No miracles happened that round, which meant Natus was still in with a fighting chance. Round 27 started out with device being picked, leaving Astralis down one player. Only a few seconds later and dupreeh and Xyp9x bit the bullet, but two from Natus Vincere also went down. This left Astralis facing an uphill battle with Magisk and gla1ve the lone survivors. The bomb was covered in smoke, so gla1ve took the opportunity and knocked another player from Natus out of the equation. Magisk followed through on a grenade, taking down Edward, but s1mple returned the favour and removed Magisk from the round. It was just gla1ve against s1imple, and with one win away from taking DreamHack Marseilles, the pressure was almost too much to bear. The smoke occluded all sight, but thanks to gla1ve’s Elite Pro, he pinpointed s1mple’s location and took him down with laser-like precision. That final kill secured Astralis’ victory at DreamHack Marseilles, netting them $100,000 of the $250,000 prize pool. Congratulations, Astralis!